Rajasthan located in the western part of the country, Rajasthan is renowned for its royal past and famed art and culture. With breathtaking attractions, the state allures travelers from all parts of the world. 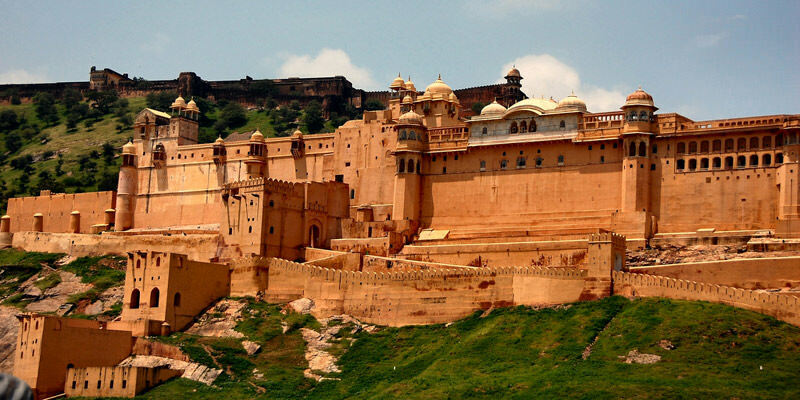 In this tour, we take you to major cities of Rajasthan namely- Jaipur, Chittorgarh, Udaipur and Mt. Abu. Read the itinerary for further details. After Breakfast proceed to city tour of Jaipur which covers Amber Fort located at a hill-top offering a brilliant view of the city. You can also experience the elephant ride on your own on direct payment basis. then visit to other popular attractions of Jaipur including Hawa Mahal – the Palace of Wind , Jantar Mantar – UNESCO World Heritage Site, one of the great places for scientific observations, City Palace – visit the pre-historic buildings, palaces, shrines and museums and the Ram Nivas Garden – houses a bird- sanctuary and a Zoo. After exploring return back to the hotel. Evening is at leisure. Overnight stay at the hotel in Jaipur. After Breakfast check out the hotel and depart to Chittorgarh. Arrive at Chittorgarh check in the hotel and relax for some time then take a half day city tour of Chittorgarh which covers Fort with various palaces Padmini palace and the Rana Kumbha palace, numerous gates – Hanuman Pol, Ganesh Pol and the Laxman Pol, towers – Vijay Stambh and the Kirti Stambh and shrines inside. The wonderful Victory tower – the Vijay Stambh , a nine storied building constructed in Rajput style. Further, visit the picturesque Padmini palace. The palace is a beautiful white building, surrounded by water moat. In evening return back to the hotel. Overnight stay at the hotel In Chittorgarh. After Breafast check out the hotel and depart to Udaipur. Arrive at Udaipur check in the hotel and relax for some time. Later take a half day city tour of Udaipur which covers Saheliyon Ki Bari – a sprawling garden adorned with fountains, pools and elephant statues made of marble , Gulabh Bagh – adore the variety of roses, visit the museum and the Zoo inside the Bagh and indulge in boat ride at Lake Pichola on your own at direct payment basis. In evening return back to the hotel. Overnight stay at the hotel in Udaipur. After Breakfast take a half day city tour of Udaipur which covers City Palace Museum – a 400 year old complex that houses beautiful palaces, where you can see some artifacts of Medieval and European era, The Crystal Gallery – storehouse to various crystal made objects, and the Vintage & classic car collections. Later depart to Mt abu. On arrival check in the hotel and relax for some time. Evening is at leisure. Overnight stay at the hotel. After Breakfast take a full day city tour of Mt . Abu visit the most popular Dilwara Jain temple carved with intricate marble stone crafts, Brahmakumari Spiritual, pristine Nakki Lake, relish the wonderful view of sunset at Sunset View point and familiarize yourself with the culture and the tradition of Mt. Abu at Honeymoon view point. In evening return back to the hotel. Overnight stay at the hotel. On the last day of your Glimpses of Mewar Tour proceed to Abu road station/Udaipur airport to board a train or flight for your onwards journey. If you are not able to make up your mind from the tour itinerary or hotels listed above in "Glimpses of Mewar Tour 6 Nights 7 Days Packages", then we can also make the changes and provide a customized, tailor-made vacations, especially for you. We can modify this tour package as per your date and budget.